'Closing the Bones' is a traditional healing and nurturing ritual and massage for the postpartum period. In Ecuador, mothers are given this massage within hours of the birth and receive it many times during the first 40 days postpartum (a time held sacred in many cultures). I was fortunate to learn this ceremony from Rocío Alarcón, an ethno-botanist from Ecuador who was trained in traditional midwifery, shamanism and herbalism by her mother and grandmother. This ceremony combines abdominal massage and rocking and binding of the mother's hips with a rebozo to encourage the new mother's energy to return to her centre, something that sadly often doesn't happen in our culture. I combine this ceremony with elements of Womb / Fertility Massage to bring deep healing to your womb and back to shorten the recovery time after birth. 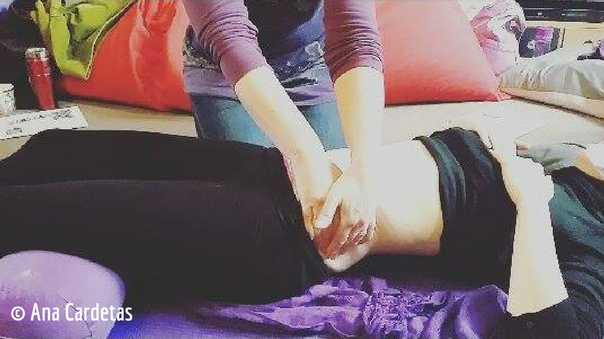 This massage is believed to stimulate blood flow to help cleanse and renew the mother's body as well as toning muscle and tissue to bring the hips back into a state of strength and stability after their work of carrying extra weight and opening in pregnancy and birth. It is believed that if a woman's bones are not 'closed' then she will suffer from many hip issues, pelvic instability and depletion of energy. Closing the bones includes rebozo work (a rebozo is a long scarf traditionally worn by women in Mexico and Ecuador) to rock the mother and gently adjust her pelvis, as well as oil massage around the belly, pubic bones and hips. Women often experience these treatments as deeply nourishing, relaxing and supportive as this ceremony creates a safe and nurturing space for them to release emotions associated with birth and motherhood. I am grateful to bring this traditional knowledge to the women I work with in the UK and will tithe 10% of my earnings from Closing the Bones to indigenous communities in Ecuador. Single Closing the Bones Massage & Ceremony - bringing the hips back together and balancing the mother after birth with a traditional massage from Ecuador. 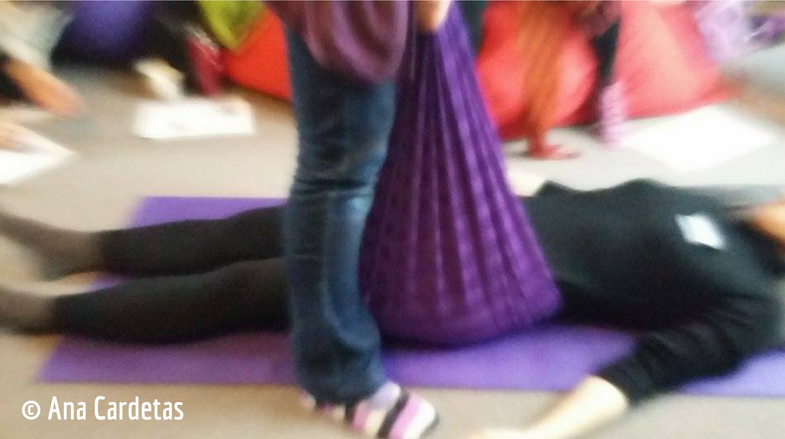 An hour and a half of abdominal, hip and lower back massage using hands and a rebozo (long piece of cloth) to re-balance the mother's body after birth. The investment for an individual Closing the Bones massage is £60. Series of Closing the Bones Massages & Ceremony - a deeply nourishing traditional ceremony and series of massages to help honour the new mother. A course of five closing massages and ceremonial honouring of the new mother. The investment for a course of Closing the Bones massages and Closing Ceremony is £250 - these must be taken within the space of ten weeks, at any time after birth (it is recommended to wait 6 weeks or more after a caesarean birth to give the body time to heal), even years later. It's never too late to bring healing to your body!